The Health Minister said that public-private healthcare collaboration would help public hospitals, in particular, to tackle various issues like shortage of specialists and facilities as well as heavy workload and rising cost of treatment. In May 2018, Health Minister Dr Dzulkefly Ahmad said that the Health Ministry will be setting up an independent Health Advisory Council within 100 days to advise the ministry on strengthening healthcare delivery. 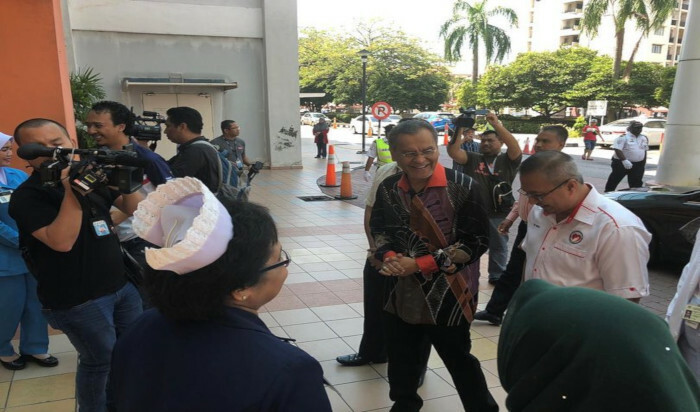 The Health Advisory Council was finally established in January 2019 and “several private hospitals have expressed their wish to cooperate (with the Health Ministry)”, according to Dr Dzulkefly when he visited Ampang Hospital, a government hospital yesterday. He also added that the public-private healthcare collaboration would help public hospitals, in particular, to tackle various issues like shortage of specialists and facilities as well as heavy workload and rising cost of treatment. Dr Dzulkefly also urged the public to undergo early screening and detection tests for cancer as the disease had become the second highest cause of death among the people in Malaysia. He said in an article by The Sun Daily that an estimated 60% of cancer cases in the country are detected at late stages, either at Stage III or IV. Last November, Dr Dzulkefly announced that the Ministry of Health is committed to ensuring that the electronic medical record system (EMR) can be realised within three years at 145 hospitals nationwide, as a way to improve the country's health service to a better level.